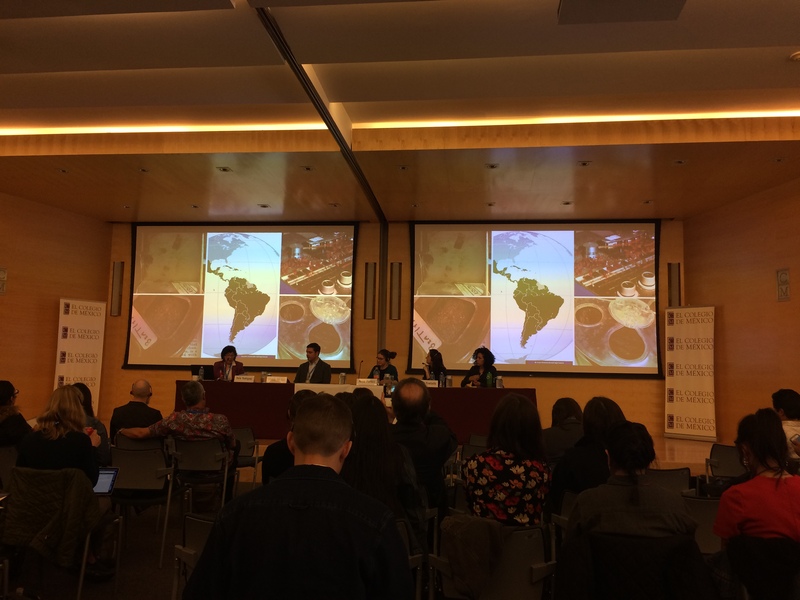 This is the first post in a new series of conversations between emerging professionals and archivists actively working with digital materials. Amy Berish is an Assistant Archivist at the Rockefeller Archive Center in Sleepy Hollow, New York. There, she is a member of the Processing Team, working on processing collections that cover a wide range of philanthropic history and a variety of materials. A recent graduate of the University of Pittsburgh Master of Library and Information Science program, Amy has generously shared her path and experiences with bloggERS! Amy began working in her local library when she was 14 and went on to major in library and information science as an undergraduate. While there and throughout graduate school, she worked at the university library, took various internships, and worked for school credit at the preservation lab, all in an effort to find her place in the library and archives world. In her current role at the Rockefeller Archive Center, she works as part of a larger staff to process incoming collections in both paper and digital formats. The Rockefeller Archive Center collects materials related to the Rockefeller family, but also several other large philanthropic organizations, including the Ford Foundation, the Near East Foundation, the Commonwealth Fund, the Rockefeller Brothers Fund, the Henry Luce Foundation, and the W. T. Grant Foundation, among others. While she shied away from working with digital formats and learning coding skills during college, she has had the opportunity to pursue that work in her current role and has embraced the challenges that have come with it. Amy has found support in her teams at the Rockefeller Archive Center and in the archives community in and around New York City. For example, Digital Team members at the Rockefeller Archive Center reminded her that it would be ok to break things in the code, and that they would be able to fix it if she wanted to experiment with a new way of scripting. She has also found support in online forums, which have allowed her to connect to others doing related work across the country. Beyond scripting, part of her position requires her to deal with formats that might be obsolete or nearly so, and to face policy questions regarding proprietary information and copyright. 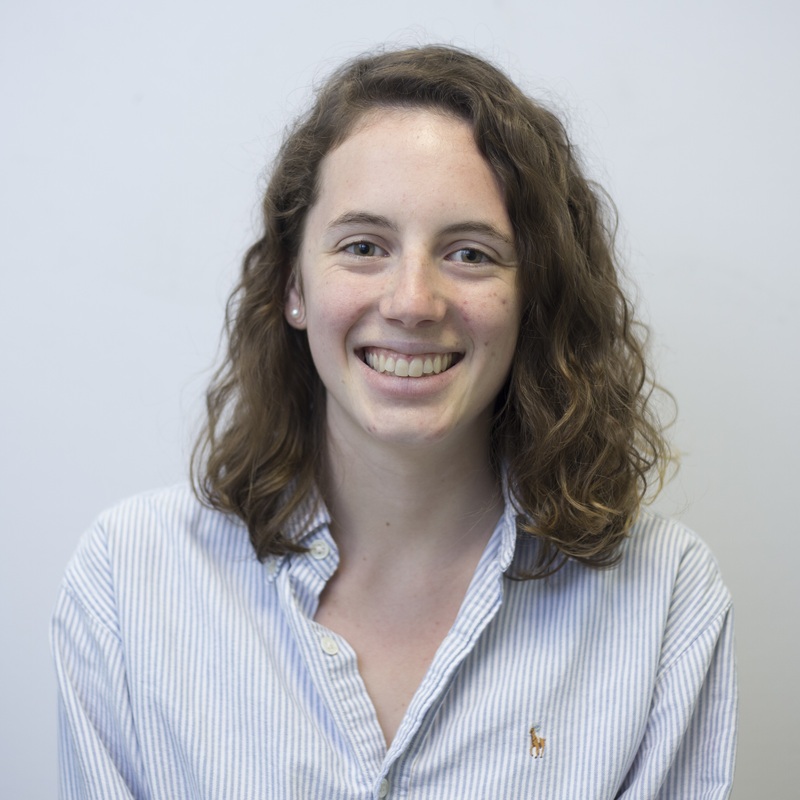 Like coding however, Amy has used her enthusiasm for learning new skills as an asset in facing these challenges. As a new professional, Amy was quick to mention some of the challenges that archivists can face at the beginning of their career. Still, she said, a pat on the back for each small step you take is well-deserved. She cited one of her graduate school professors, who encouraged her to cultivate an “ethos of fearlessness” when facing technology; she said the phrase has become a mantra in her current position. Since that, Amy acknowledged, is easier said than done, especially while you’re still in school, she has three other pieces of advice to share for others just starting out in digital archives work: Take the opportunities you’re given, always be ready to learn, and don’t be afraid digital work. Georgia Westbrook is an MSLIS student at Syracuse University. She’s interested in visual resources, oral histories, digital publishing, and open access. Connect with her on LinkedIn or on her website. This post is a case study about how I used the statistical programming language R to help export, transform, and load data from legacy finding aids into ArchivesSpace. I’m sharing this workflow in the hopes that another institution might find this approach helpful and could be generalized to other issues facing archives. I decided to use the programming language R because it is a free and open source programming language that I had some prior experience using. R has a large and active user community as well as a large number of relevant packages that extend the basic functions of R, including libraries that can deal with Microsoft Word tables and read and write XML. All of the code for this project is posted on Github. The specific task that sparked this script was when I inherited hundreds of finding aids with minimal collection-level information and very long and detailed box and folder lists. These were all Microsoft Word documents with the box and folder list formatted as a table within the Word document. We recently adopted ArchivesSpace as our archival content management system so the challenge was to reformat this data and upload it into ArchivesSpace. I considered manual approaches but eventually opted to develop this code to automate this work. The code is generally organized into three sections: data export, transforming and cleaning the data, and finally, creating an EAD file to load into ArchivesSpace. After installing the appropriate libraries, the first step of the process was to extract the data from the Microsoft Word tables. Given the nature of our finding aids, I focused on extracting only the box and folder list; collection-level information would be added manually later in the process. This process was surprisingly straightforward; I created a variable with a path to a Word Document and used the “docx_extract_tbl” function from the docxtractr package to extract the contents of that table into a data.frame in R. Sometimes our finding aids were inconsistent so I occasionally had to tweak the data to rearrange the columns or add missing values. The outcome of this step of the process is four columns that contain folder title, date, box number, and folder number. This data export process is remarkably flexible. Using other R functions and libraries, I have extended this process to export data from CSV files or Excel spreadsheets. In theory, this process could be extended to receive a wide variety of data including collection-level descriptions and digital objects from a wider variety of sources. There are other tools that can also do this work (Yale’s Excel to EAD process and Harvard’s Aspace Import Excel plugin), but I found this process to be easier for my institution’s needs. Extracting a date range for the collection. Again, past practice focused on creating folder-level descriptions and nearly all of our finding aids lacked collection-level information. From the box/folder list, I tried to extract a date range for the entire collection. This process was messy but worked a fair amount of the time. In cases when the data were not standardized, I defined this information manually. Standardizing “No Date” text. Over the course of this project, I discovered the following terms for folders that didn’t have dates: “n.d.”,”N.D.”,”no date”,”N/A”,”NDG”,”Various”, “N. D.”,””,”??”,”n. d.”,”n. d. “,”No date”,”-“,”N.A.”,”ND”, “NO DATE”, “Unknown.” For all of these, I updated the date field to “Undated” as a way to standardize this field. R is a powerful tool and provides many options for data cleaning. We did pretty minimal cleaning but this approach could be extended to do major transformations to the data. Lastly, with the data cleaned, I could restructure the data into an XML file. Because the goal of this project was to import into ArchivesSpace, I created an extremely basic EAD file meant mainly to enter the box and folder information into ArchivesSpace; collection-level information would be added manually within ArchivesSpace. In order to get the cleaned data to import, I first needed to define a few collection-level elements including the collection title, collection ID, and date range for the collection. I also took this as an opportunity to apply a standard conditions governing access note for all collections. Next, I used the XML package in R to create the minimally required nodes and attributes. For this section, I relied on examples from the book XML and Web Technologies for Data Sciences with R by Deborah Nolan and Duncan Temple Lang. I created the basic EAD schema in R using the “newXMLNode” functions from the XML package. This section of code is very minimal, and I would welcome suggestions from the broader community about how to improve it. Lastly, I defined functions that make the title, date, box, and folder nodes, which were then applied to the data exported and transformed in earlier steps. Lastly, this script saves everything as an XML file that I then uploaded into ArchivesSpace. Although this script was designed to solve a very specific problem—extracting box and folder information from a Microsoft Word table and importing that information into ArchivesSpace—I think this approach could have wide and varied usage. The import process can accept loosely formatted data in a variety of different formats including Microsoft Word, plain text, CSV, and Excel and reformat the underlying data into a standard table. R offers an extremely robust set of packages to update, clean, and reformat this data. Lastly, you can define the export process to reformat the data into a suitable file format. Given the nature of this programming language, it is easy to preserve your original data source as well as document all the transformations you perform. Andy Meyer is the director (and lone arranger) of the F.M. Johnson Archives and Special Collections at North Park University. He is interested in archival content management systems, digital preservation, and creative ways to engage communities with archival materials. San José is in many ways an apt location for a tech-centered library conference like Code4Lib. It is the largest city in Santa Clara Valley (aka Silicon Valley) and home to San Jose State University, one of the biggest library science programs in the country. 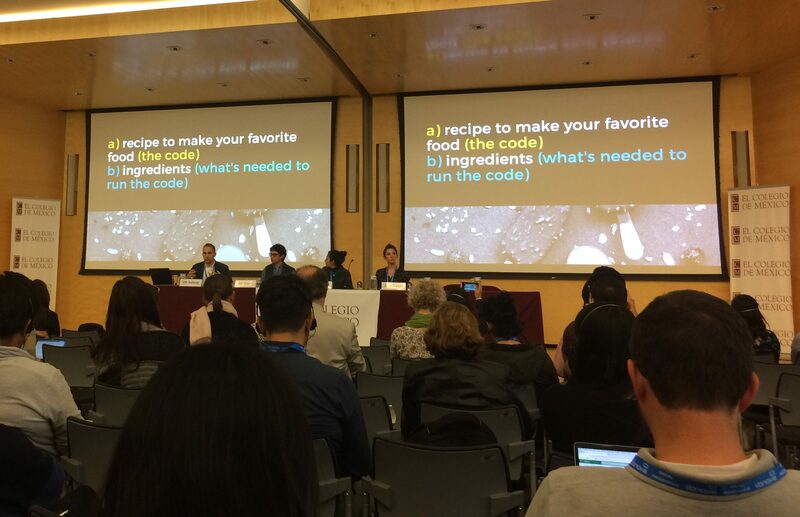 Yet the tone of the 14th annual Code4Lib conference, which convened on February 19-22, 2019, was cautious and at times critical of the “big tech” landscape. In her opening keynote, Sarah Roberts, Assistant Professor of Information Studies at UCLA, talked about her research on social media content moderation. She said that while this work is deemed critical by social media companies to manage lewd or disturbing content, it is also emotionally taxing, low-paying, and executed by a mostly invisible global labor force. In keeping this work hidden, consumers are led to believe that social media content is either unmediated, or that content moderation is somehow automated. This push towards transparency and openness—in how we manipulate our code, technologies, content, and even our labor practices—was a recurring theme throughout the conference. Screenshot of Sarah Roberts giving the 2019 Code4Lib opening keynote address. As a first-time Code4Lib attendee with very little programming experience, seeing session titles like “Building REST API-backed Single Page Applications (SPAs) with Vue.js” and “Ringers of Jupyter: The Jupyter Notebook As Faux Web App,” was pretty intimidating. While I did find myself Googling a lot of acronyms throughout the conference, I found that there was a balanced mix of talks for every skill level, and even the more programming-heavy sessions were surprisingly accessible. Pro-tip: follow one of the Code4Lib backchannels like Twitter or Slack for fun, thoughtful side discussions throughout the conference. There were a number of archivists and archives-adjacent folks attending the conference and a handful of interesting sessions related to digital archives. In a talk entitled “Natural Language Processing for Discovery of Born-Digital Records,” NCSU Libraries Fellow Emily Higgs discussed her exploration of named entity recognition (NER) to aid in describing digital collections. Using the open source natural language processing software, spaCy, Higgs extracted personal names to a CSV file, with entities ranked by frequency, and included the top five to ten names in the Scope and Content section of the finding aid. She also tested a discovery tool, Open Semantic Desktop Search, to enable researchers to more easily browse through a digital collection using the reading room computer. She noted that while it offered faceted browsing as well as fuzzy and semantic search capabilities, the major drawback was the long indexing time for larger digital collections. In the realm of web-archiving, Ilya Kreymer of Rhizome presented a demo of Webrecorder, a set of free and open source tools for creating and viewing web archives. Funded by two Mellon Foundation grants, Webrecorder is a browser-based application that focuses on capturing high-fidelity web archives. Unlike the more traditional web crawlers, Webrecorder is meant to be used as a more curated approach to web archiving—think quality over quantity. In his demo, Kreymer quickly and easily archived audio files from a SoundCloud library as well as the most recent Code4Lib conference hashtag posts on Twitter. One of Webrecorder’s most impressive features is its ability to emulate legacy browsers to record things like flash-based websites. Webrecorder has a lot going for it—it’s free and easy to use, with an attractive and intuitive interface. While Kreymer was quick to point out that they haven’t solved web-archiving, it was nonetheless exciting to see a concentrated effort towards refining it. As a metadata librarian, I am probably a little biased here, but one of the most exciting talks of the conference was given by Dhanushka Samarakoon and Harish Maringanti of the University of Utah’s Marriott Library. Inspired by a story they heard on NPR about PoetiX, a sonnet-writing competition where judges are asked to determine if a sonnet was written by man or machine, Samarakoon and Maringati began to think about the implications of machine learning on metadata creation. Recognizing that metadata is typically where the bottleneck occurs in digital library workflows, they wanted to explore how machine learning technology might simplify descriptive metadata creation for historical image collections. To do this they created a model using data from Imagenet, a database of over 14 million images designed for use in visual object recognition software research; and over 470 photographs with high quality human-generated metadata from their own digital library collections. Once this data was introduced into a pre-trained neural network, they ran a collection of photographs through the system to see how well the model worked. It wasn’t perfect—for instance, a photo of a man standing next to a cow was described as “Mary Jane standing by a cow,” apparently due to the many people identified as “Mary Jane” in the original digital library dataset. However, it was exciting to see the possibilities of AI in image analysis and the implications this might have for future metadata automation. Screen capture from Dhanushka Samarakoon and Harish Maringanti’s talk on machine learning based metadata generation. At one point during the conference someone took a quick visual poll of how many first-time attendees were in the audience. There were a lot of us. But there were also a lot of Code4Lib veterans. During a lightning talk about the origin of the conference, Karen Coombs, Ryan Wick, and Roy Tennant recalled wanting to create a conference with a “no spectators” motto—where attendees had ample opportunities to engage, participate, and have their voices heard. Unlike most other library conferences, Code4Lib doesn’t have competing programming. Everyone gathers in one large room and attends the same talks and sessions. It was this model of inclusivity, equality, and innovation that I found most appealing about Code4Lib, and will no doubt draw me back in coming years. For more information about the conference, including streaming video and slides, visit the Code4Lib 2019 website. Nicole Shibata is the Metadata Librarian at California State University, Northridge. This is the fifth post in the bloggERS Making Tech Skills a Strategic Priority series. ArchivesSpace, Archivematica, BitCurator, EAD, the list goes on! The contemporary archivist is tasked with not only processing paper collections, but also with processing digital records and managing the descriptive data we create. This work requires technical skills that archivists twenty or even ten years ago didn’t need to master. It’s also rare that archivists get extensive training in the technical aspects of the field during their graduate programs. So, how can a team of archivists build the skills they’ll need to meet the needs of an increasingly technical field? At the Princeton University Library, the newly formed Archival Description and Processing Team (ADAPT), is committed to meeting these challenges by building technical capacity across the team. We are achieving this by working on real-world projects that require technical skills, and by leveraging existing knowledge and skills in the organization, seeking outside training, and championing supervisor support for using time to grow our technical skills. One of the most important requirements for growing technical capacity on the processing team is supervisor support for the effort. Workshops, training, and solving technical problems take a significant amount of time. Without management support for the time needed to develop technical skills, the team would not be able experiment, attend trainings, or practice writing code. As the manager of ADAPT, I make this possible by encouraging staff to set specific goals related to developing technical skills on their yearly performance evaluations; I also accept that it might take us a little longer to complete all of our processing. To fit this work into my own schedule, I identify real-world problems and block out time on my schedule to work on them or arrange meetings with colleagues who can assist me. Blocking out time in advance helps me stick to my commitment to building my technical skills. While the time needed to develop these skills means that some work happens more slowly today, the benefit of having a team that can manipulate data and automate processes is an investment in the future that will result in a more productive and efficient processing team. With the support to devote time to building technical skills, ADAPT staff use a number of resources to improve their skills. Working with internal staff who already have skills they want to learn has been one successful approach. This has generally paired well with the need to solve real-world data problems. For example, we recently identified the need to move some old container information to individual component-level scope and content notes in a finding aid. We were able to complete this after several in-house training sessions on XPath and XQuery taught by a Library staff member. This introductory training helped us realize that the problem could be solved with XQuery scripting and we took on the project, while drawing on the in-house XQuery expert for assistance. This combination of identifying real-world problems and leveraging existing knowledge within the organization leads both to increased technical skills and projects getting done. It also builds confidence and knowledge that can be more easily applied to the next situation that requires a particular kind of technical expertise. Finally, building in-house expertise requires allowing staff to determine what technical skills they want to build and how they might go about doing it. Often that requires outside training. Over the past several years, we have brought workshops to campus on working with the command line and using the ArchivesSpace API. Staff have also identified online courses and classes offered by the Office of Information Technology as important resources for building their technical skills. Providing support and time to attend these various trainings or complete online courses during the work day creates an environment where individuals can explore their interests and the team can build a variety of technical skills that complement each other. As archival work evolves, having deeper technology skills across the team improves our ability to get our work done. With the right support, tapping into in-house resources, and seeking out additional training, it’s possible to build increased technological capability with the processing team. In turn, the team will increasingly be able to more efficiently tackle day-to-day technical challenges needed to manage digital records and descriptive data. 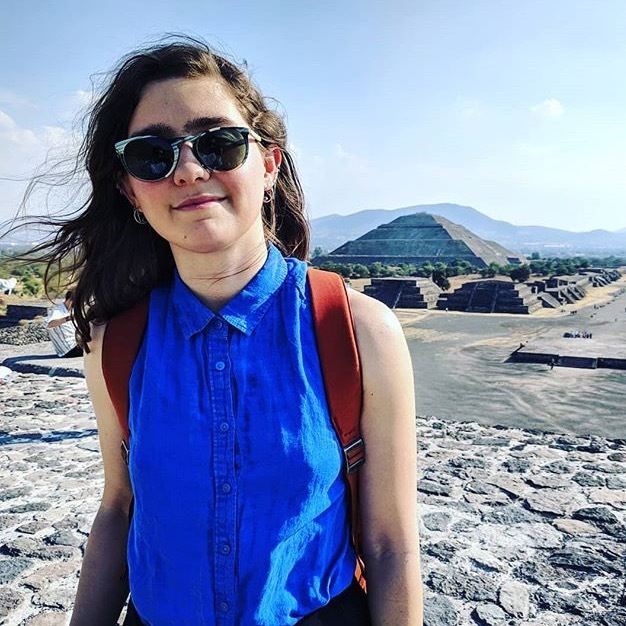 Alexis Antracoli is Assistant University Archivist for Technical Services at Princeton University Library where she leads the Archival Processing and Description Team. She has published on web archiving and the archiving of born-digital audio visual content. Alexis is active in the Society of American Archivists, where she serves as Chair of the Web Archiving Section and on the Finance Committee. She is also active in Archives for Black Lives in Philadelphia, an informal group of local archivists who work on projects that engage issues at the intersection of the archival profession and the Black Lives Matter movement. She is especially interested in applying user experience research and user-center design to archival discovery systems, developing and applying inclusive description practices, and web archiving. She holds an M.S.I. in Archives and Records Management from the University of Michigan, a Ph.D. in American History from Brandeis University, and a B.A. in History from Boston College. When our team of experts at Anderson Archival isn’t busy with our own historical collection preservation projects, we like to dive into researching other preservation and digitization undertakings. We usually dedicate ourselves to the intimate collections of individuals or private institutions, so we relish opportunities to investigate projects like Harvard University’s Glass Plate Collection. For most of the sciences, century-old information would be considered at best a historical curiosity and at worst obsolete. But for the last hundred and forty years, Harvard College’s Observatory has housed one of the most comprehensive collections of photographs of the night’s sky as seen from planet Earth, and this data is more than priceless—it’s breakable. For nearly a decade, Harvard has been working to not only protect the historical collection but to bring it—and its enormous amount of underutilized data—into the digital age. Before computers and cameras, the only way to see the stars was to look up with the naked eye or through a telescope. With the advent of the camera, a whole new way to study the stars was born, but taking photographs of the heavens isn’t as easy as pointing and clicking. Photographs taken by telescopes were produced on 8″x10″ or 8″x14″ glass plates coated in a silver emulsion exposed over a period of time. This created a photographic negative on the glass that could be studied during the day. (DASCH Portion of Plate b41215) Halley’s comet taken on April 21, 1910 from Arequipa, Peru. This allowed a far more thorough study of the stars than one night of stargazing could offer. By adjusting the telescopes used and exposure times, stars too faint for the human eye to see could be recorded and analyzed. It was Henry Draper who took this technology to the next level. In 1842, amateur astronomer Dr. Henry Draper used a prism over the glass plate to record the stellar spectrum of stars and was the first to successfully record a star’s spectrum. Dr. Draper and his wife, Anna, intended to devote his retirement to the study of stellar spectroscopy, but he died before they could begin. To continue her husband’s work, Anna Draper donated much of her fortune and Dr. Draper’s equipment to the Harvard Observatory for the study of stellar spectroscopy. Harvard had already begun photographing on glass plates, but with Anna Draper’s continual contributions, Harvard expanded its efforts, photographing both the stars and their spectrums. Harvard now houses over 500,000 glass plates of both the northern and southern hemispheres, starting in 1882 and ending in 1992 when digital methods outpaced traditional photography. This collection of nightly recordings, which began as the Henry Draper Memorial, has been the basis for many of astronomy’s advancements in understanding the universe. 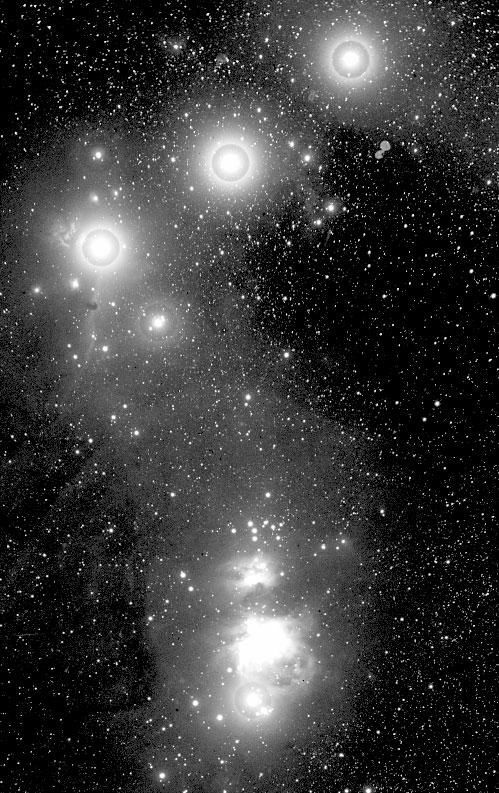 Edward C. Pickering was the director of the Harvard Observatory when the Henry Draper Memorial was formed, but he did more than merely advance the field through photographing of the stars. He fostered the education and professional study of some of astronomy’s most influential members—women who, at that time, might never have received the chance—or credit—Pickering provided. Instead of hiring men to study the plates during the day, Pickering hired women. He felt they were more detailed, patient, and, he admitted, cheaper. Williamina Fleming was one of those female computers. She developed the Henry Draper Catalogue of Stellar Spectra and is credited with being the first to see the Horsehead nebula through her work examining the plates. 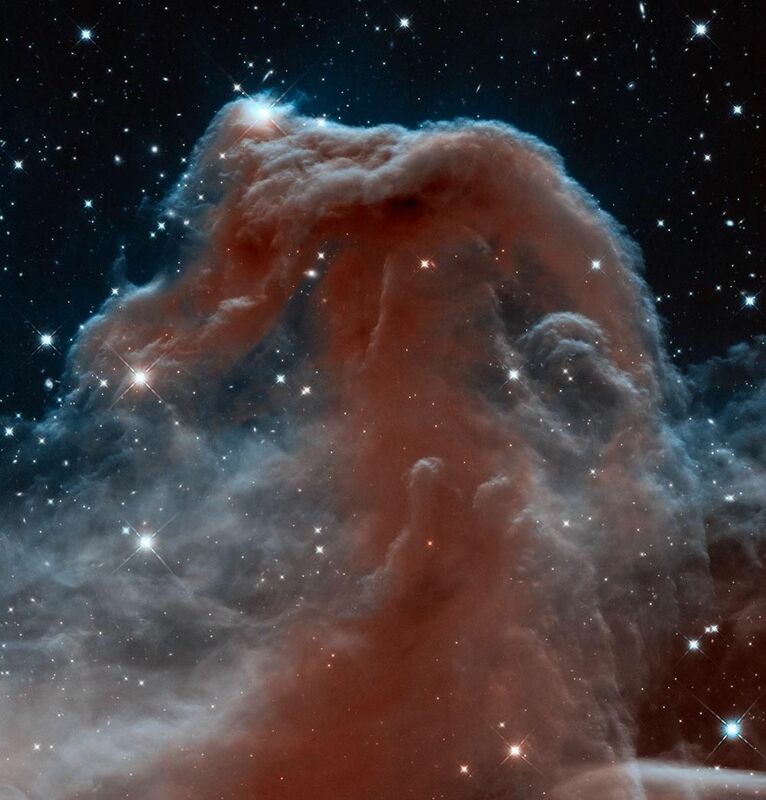 The Horsehead nebula taken by the Hubble Space Telescope in infrared light in 2013. (DASCH Portion of Plate b2312) The collection’s first image of the Horsehead Nebula taken on February 7, 1888 from Cambridge. The Draper Catalogue included the first classification of stars based on stellar spectra, as created by Fleming. Later, this classification system would be modified by another notable female astronomer at Harvard, Annie Jump Cannon. Cannon’s classification and organizational scheme became the official method of cataloguing stars by the International Solar Union in 1910, and it continues to be used today. Another notable female computer was Henrietta Swan Leavitt, who figured out a way to judge the distance of stars based on the brightness of stars in the Small Megellanic Cloud. Leavitt’s Law is still used to determine astronomical distances. The Glass Universe by Dava Sobel chronicles the stories of many of the female computers and the creation of Harvard Observatory’s plate collection. The Harvard Plate Collection is one of the most comprehensive records of the night’s sky, but less than one percent of it has been studied. For all of the great work done by the Harvard women and the astronomers who followed them, the fragility of the glass plates meant someone had to travel to Harvard to see them, and then the study of even a single star over a hundred years required a great deal of time. 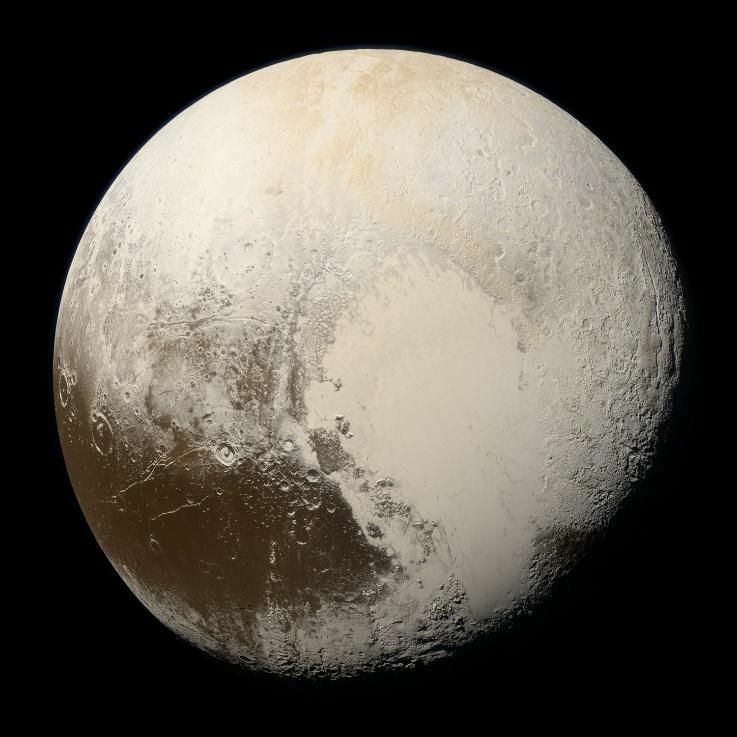 For every discovery made from the plate collection, like finding Pluto, hundreds or thousands more are waiting to be found. 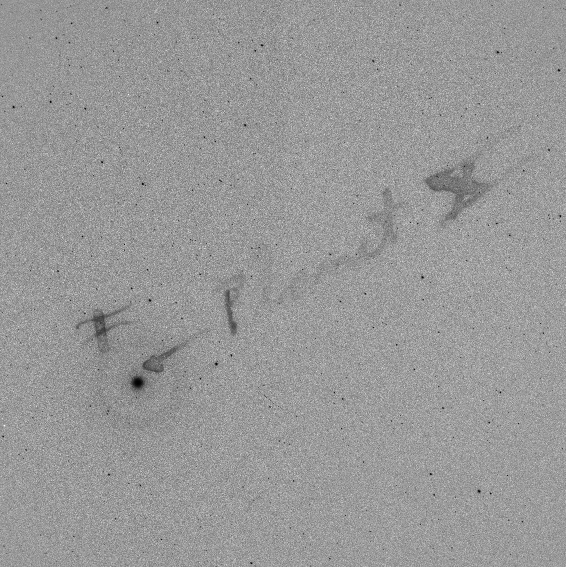 (DASCH Single scan tile from Plate mc24889) First discovery image of Pluto with Clyde Tombaugh’s notes written on the plate. 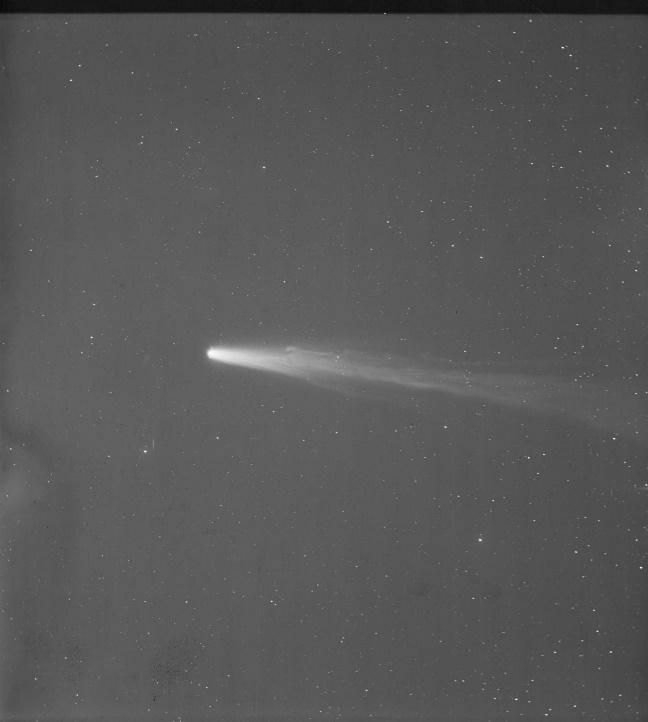 Taken at Cambridge on April 23, 1930. 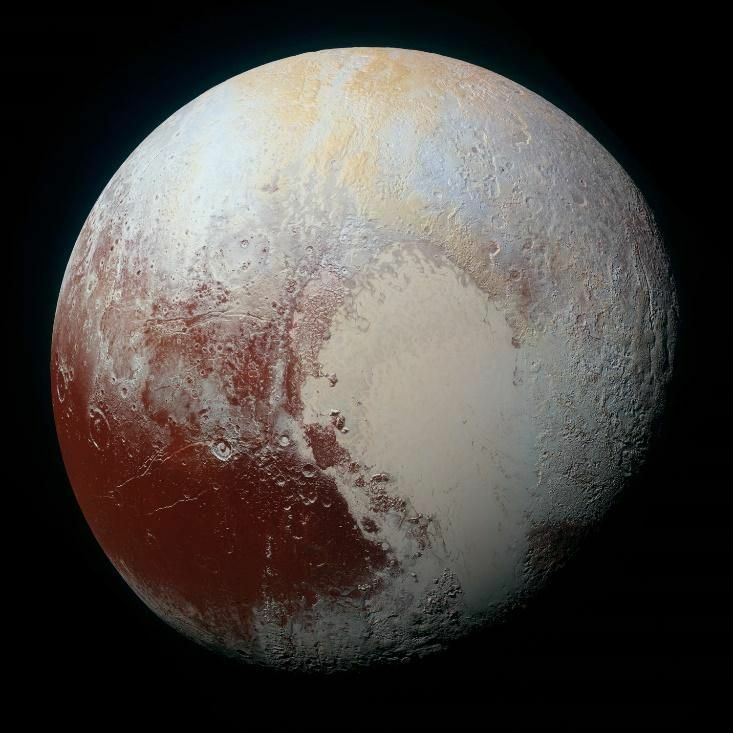 Initial enhanced color image of Pluto released in July 2015 during New Horizon’s flyby. This is a more accurate image of the natural colors of Pluto as the human eye would see it. Taken by New Horizons in July 2015. 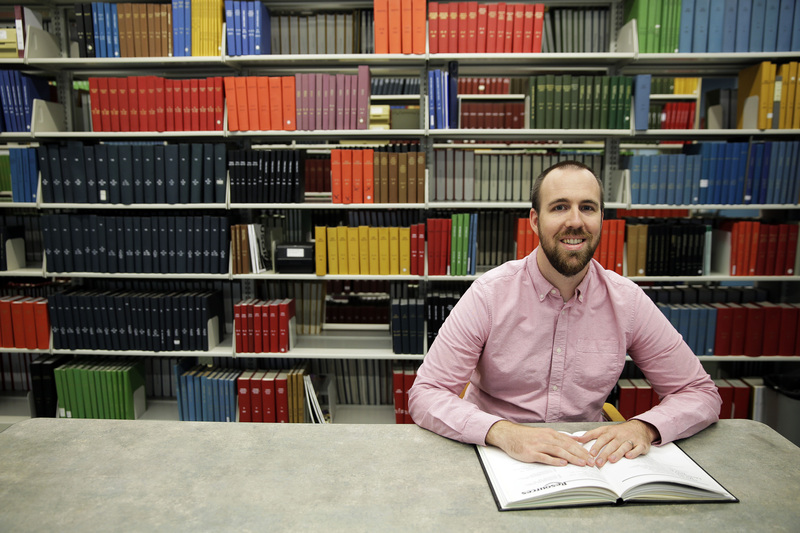 With all of this unused, breakable data and advances in computing ability, Professor Jonathan Grindlay began organizing and funding DASCH in 2003 in an effort to digitize the entire hundred-year plate historical document collection. But Grindlay had an extra obstacle to overcome. Many of the plates had handwritten notes written by the female computers and other astronomers. Grindlay had to balance the historical significance of the collection with the vast data it offered. To do this, the plates are scanned at low resolution with the marks in place, then they are cleaned and rescanned at the extremely high resolution necessary for data recording. A custom scanner had to be designed and constructed specifically for the glass plates and new software was created to bring the digitized image into line with current astronomical data methods. The project hasn’t been without its setbacks, either. Finding funding for the project is a constant problem, and in January 2016, the Observatory’s lowest level flooded. Around 61,000 glass plates were submerged and had to be frozen immediately to prevent mold from damaging the negatives. While the plates are intact, many still need to be unfrozen and restored before being scanned. The custom scanner also had to be replaced because of the flooding. In conjunction with the plate scanning, a second project is necessary to make the plates useable for extended study. The original logbooks of the female computers contain more than their observations of the plates. These books record the time, date, telescope, emulsion type, and a host of other identifying information necessary to place and digitally extrapolate the stars on the plates. Over 800 logbooks (nearly 80,000 images in total) were photographed by volunteer George Champine. Those images are now in the time-consuming process of being manually transcribed. Harvard Observatory partnered with the Smithsonian Institution to enlist volunteers who work every day reading and transcribing the vital information in these logbooks. Without this data, the software can’t accurately use the star data scanned from the plates. Despite all the challenges and setbacks, 314,797 plates have been scanned as of December 2018. The data released and analyzed from the DASCH project has already made new discoveries about variable stars. Once the entire collection of historical documents is digitized, more than a hundred years will be added to the digital collection of astronomical data, and they will be free for anyone to access and study, professional or amateur. The Harvard Plate Collection is a great example of an extraordinary resource to its community being underused due to the medium. Digital conversion of data is a great way to help any field of research. While Harvard’s plate digitization project provides a model for the conversion of complex data into digital form, not all institutions have the resources to attempt such a large enterprise. If you have a collection in need of digitization, contact Anderson Archival today at 314.259.1900 or email us at info@andersonarchival.com. 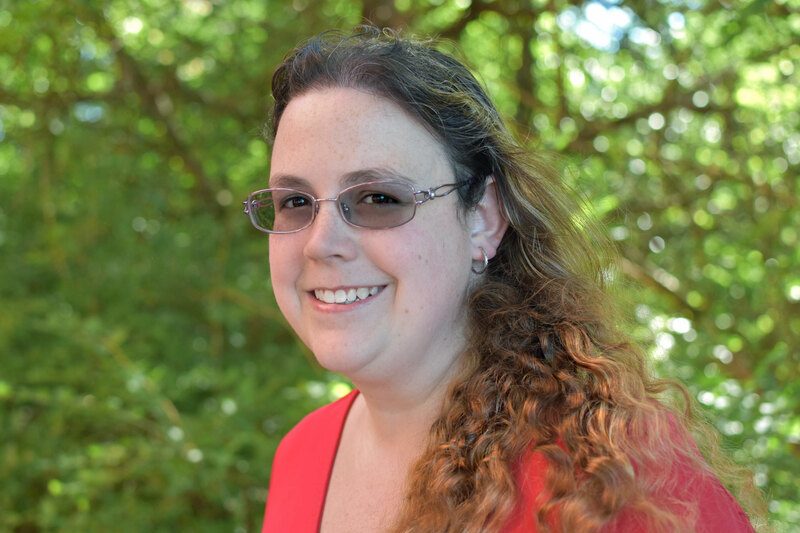 Shana Scott is a Digital Archivist and Content Specialist with Anderson Archival, and has been digitally preserving historical materials for over three years. She is involved in every level of the archiving process, creating collections that are relevant, accessible, and impactful. Scott has an MA in Professional Writing and Publishing from Southeast Missouri State University and is a member of SFWA. Call for Contributions: Conversations Series! Digital skills have become increasingly important for both new and established archivists of all stripes, not just those with “digital” in their job titles. This series aims to foster relationships and facilitate the sharing of knowledge between archivists who are already working with born-digital records and those who are interested in building their digital skills. In collaboration with SAA’s Students and New Professionals (SNAP) section, the Electronic Records Section seeks students and new professionals to conduct brief interviews of people working with born-digital records about what it’s like on a daily basis, as well as career pathways, helpful skill sets, and other topics. Students/new professionals will then write up the interviews for publication on both the ERS and SNAP section blogs. We are currently seeking volunteers for both interviewers and interviewees. Please see additional information about both roles below, and fill out this short Google form to sign up! Posts for this series will start in March, so let us know if you are interested in participating by filling out this (short) Google form ASAP. Send any questions to ers.mailer.blog@gmail.com!